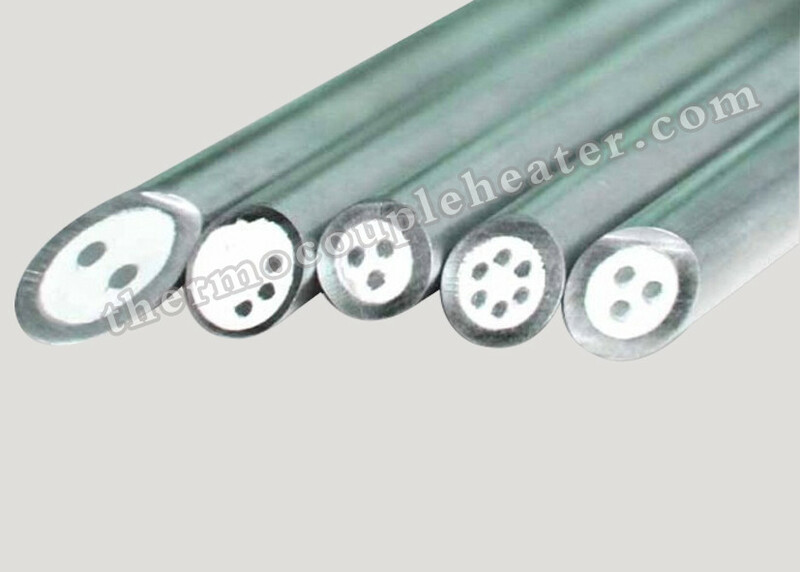 Mineral insulated thermocouple cables have an outer sheath of metal with 2 to 8 conductors of thermocouple base material. The insulation material is made from a highly compressed metal oxid powder(MgO). The use of mineral insulated thermocouple cables is preferred in areas where mounting is difficult and where a high degree of flexibility is required. The minimum bending radius is 3 times the outer diameter of the mineral insulated cable. Innovations in technology and manufacturing have made it possible for these cables to be used increasingly frequently as a material in the manufacture of standardized thermocouples and RTDs, in particular in industrial measuring and control technology and in automotive sensor technology.